The Wild Woman Project is a collective of women around the globe intent on meeting during the new moons, like we did in ancient times. To awaken the divine feminine, to experience what it is like to come back home to our own bodies and seek the wisdom from within our own skin. Gathering on the New Moon has been a timeless tradition for women of all cultures and ancestral backgrounds! The Wild Woman Project New Moon circles have finally come to Reno to offer women this sacred ritual once more. In this international network of circles, you can expect: A sensuous sacred space held by trained WWP Facilitator, Keia Lavine, with Guided Meditation, Sharing, Intention Setting Ritual & fun held on the Saturday on or nearest the New Moon. The Wild Woman Project is at once a philosophy (an invigorating approach to life as a wondrous, often messy, creative project) & a growing movement of courageous, creative, heart centered (often weird & wonderful) women on a mission to remember, to re-imagine what it means to be a woman – untamed. 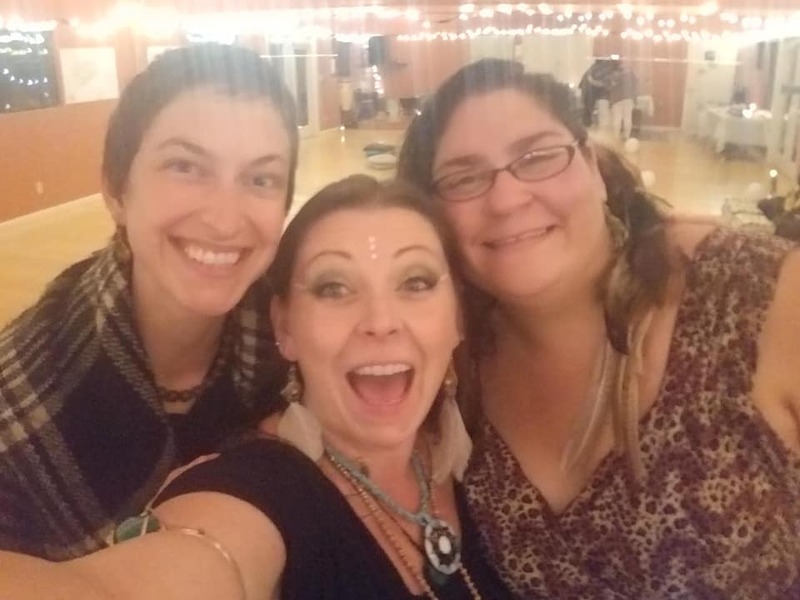 Make your inbox a sacred space and sign up for the monthly-ish Reno Wild Woman New Moon gathering updates, info and mailings. Upcoming dates for 2019 Wild Woman New Moon Gatherings. You can reserve your spot by purchasing your ticket now right on the scheduling page or on meetup. Check out the link below. I cannot wait to see you, wild one, eye to eye, and heart to heart. Are you interested in joining the Wild Woman Project Reno Leadership Team? Do you want to share your gifts with the community and dedicate time to empowering the awakening Divine? We are looking to add to our team for dedicated WOMEN LEADERSHIP positions. Positions include free attendance to all circles and discounted retreats! SEND ME AN EMAIL AND TELL ME WHY YOUR THE NEXT WWP RENO LEADER? You are invited to dress up in your Goddess Best, feel gorgeous, wear all your jewelry, feathers and beads~ (long skirts and bare feet welcome!) Bring $35 for the fee ($5 is donated into a scholarship fund for those who can't afford so no sister is denied the rich teachings and fun). Come prepared for an amazing time of fun, laughter, ritual and sisterhood. These circles are not associated with a singular path or religion, but rather, an inclusive coming together with women from all paths. We all come from different spiritual/cultural backgrounds and gather around the ideas of: Sisterhood (having each others backs, empowering one another), a respect for the earth (wildness, turning to nature as a teacher) & co-creation (the understanding that just as we co-create our experience in circle, so do we co-create life on earth). We also tend to be a heart-centered bunch, with lots of laughter & tears. Conscious Dinner - eating to the Lunar and astrological influence and mind, body, spirit healing. This meal is prepared with love by our Temple Priestess. Embodiment - practicing embodiment of the intentional reclaiming of our bodies as women… asking how do I feel instead of how do I look? Sharing - sharing is how we are witnessed in our journey, cultivating sacred sisterhood and walking this life with our tribe! Wild Woman Gift and Goodie Bag - Each month at entry you will receive a special gift bag filled with a present and supplies that will support you in the circle crafting, sharing, fun… also there will be a yummy treat and local marketing and special offers from local businesses and practitioners. We support local - Do you have a practice that you would like to share your cards or business information? Feel free to contact me any time as we would love to support you. Sacred Sisterhood - Join your tribe, we are waiting for you. Enjoy an incredible tribe of Wild Women, endeavoring to empower and support you on your journey. All you need to do is show up, Bring a journal and pen and of course, Your wild and untamed heart! Come howl with the Wild Woman Project Reno under the New Moon dear sisters, and lets open our heart to our wild nature within! And of course ~ Your wild and untamed heart! Come howl with me under the New Moon dear sisters and lets open our heart to our wild nature within! Wild women gatherings are fun! Here's a small suggestive list of Do's to prepare you for during our gathering! 1. Dress up, be beautiful and celebrate your vibrant womanhood. Wear all the shiny glittery crowns, jewelry and accessories you want. Get it out of the closet and put it on, yes you can show it off, but do this for you. This is your night of extravagant depth. Wear your favorite lipstick and feel free to leave the constrictive chonies and bra in their drawer. be wild, be free wear a skirt or dress that you will feel good in... bust out the feathers, glitter and gold.... we will be barefoot and mobile at times so polish those toes and love on your feet. (not mandatory) I offer this ... that for our 1 time a month meet treat your self like a queen and pamper yourself ready for a night of fun. 2. Bring a journal and a pen. Journals are an important part of the work we will do in circles so perhaps you treat your self to a brand new journal dedicated to the Reno Wild Women New Moon Circle. Be wild and pick a journal that is fun, free and represents your raw womanhood untamed and unbridled. 3. Do bring a water bottle - we will have times of silence and times of talking, some times dancing and sometimes singing. It important to keep yourself hydrated and water is the first medicine. 4. Bring a blanket or bolster to sit on if that will make you feel most comfortable. Remember Comfort is important for a queen. Especially for those with knees or back problems, bring anything that you feel is necessary for comfort. 5. Do bring $35 for cover price - $5 of this goes to a scholarship fund for those who cannot afford the cost of this event but really WANT to be a part of the gathering. The remainder goes to cover the cost of the space rental, the refreshments, decorations, leadership training cost and various items purchased for the gathering. If you are interested in helping in any way, we are looking for more dedicated priestesses and Wild Women to join the team and help take part of empowering women everywhere. 6. Bring an open heart, mind and spirit that is fueled with compassion for the sisters that surround you. We all have our secrets, struggles, pains and more and we are all growing. Parts of the whole and just like our Grandmother moon teaches us, every day we may show a different aspect of our selves. Compassion for our wild sisters is key as we all open our hearts, minds and spirits together. 7. Do have a good time. give yourself permission to laugh and show up and be authentic as this will ensure an amazing experience. You will be held with sacred sincerity and are invited to find the most authentic wild you. I love you, I love you, I love you….. arroooooooooo!!!!! MEET CHRIS MADDOX - THE FOUNDER OF THE WILD WOMAN PROJECT, MY TEACHER, MY HEAD PRIESTESS, MY HEART!